Hello there! 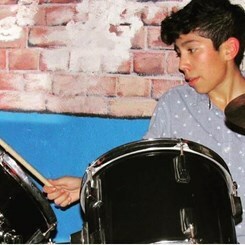 My name is Orion, and I am the newest member of the San Dimas Music and Arts team, but I have been working with Music and Arts family for almost 3 years. I am currently pursuing a degree in commercial music performance for drumset at the Azusa Pacific University School of Music, and have also been playing guitar for almost 12 years. While I may know more about drums and guitars than I would a saxophone, I am always more than willing to answer any questions you may have about any instrument, and research the answers to questions I may not know the answer to. We're all in this together on this wonderful earth, and together we'll find the best products that will suit your needs and your budget!